Your administrator is using Clark to manage their operations. Great! Now what does this mean for you? First, you'll need to accept your invitation to join Clark. In order to get started logging sessions — which is how your admin will know to pay you — you need to claim your Clark account. If you need assistance at any time, send an email to help@hiclark.com. With Clark, you wont have to worry about collecting payment when you're meeting with your students. 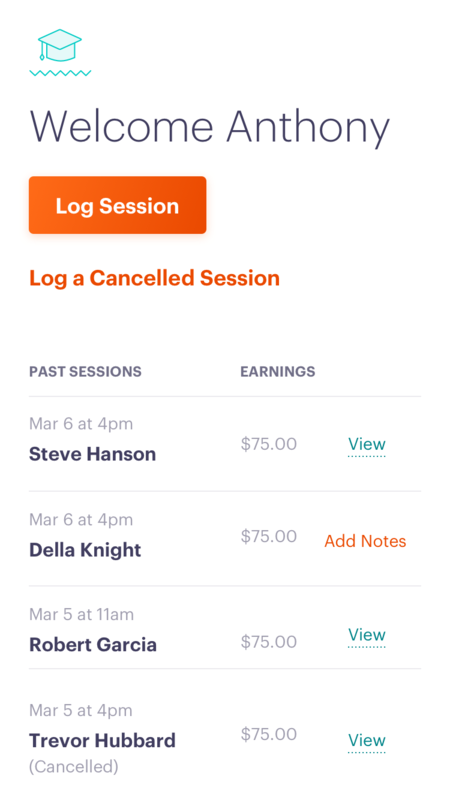 You simply need to log sessions so your admin knows how much to bill clients. To get started logging sessions, check out the steps below. *Note: Session durations are locked in. In this example you typically meet with Joe for an hour and a half. 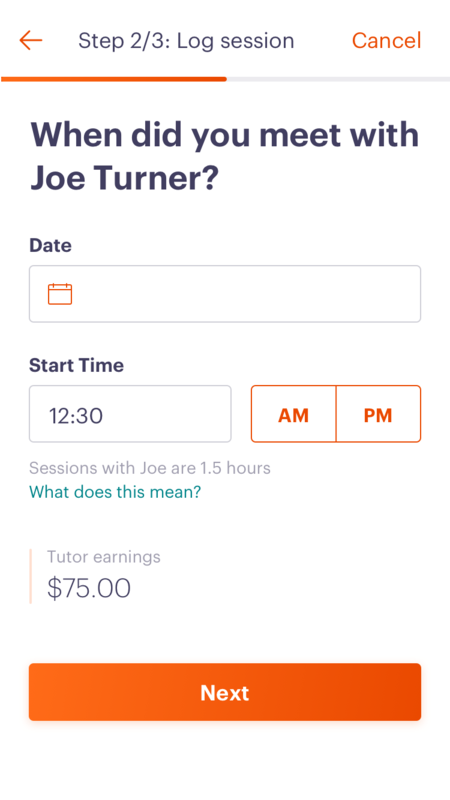 If the session went over by 30 minutes, for example, and you need to be paid for an additional half-hour's work, you can account for this by making an adjustment on the next screen. 'Skip' to log a session without additional notes. What if my session goes over the allotted time? Every session has a set duration, which is created when your admin assigns a student to you. Let your admin know a session went over with an internal note! How do I get activated on Clark? 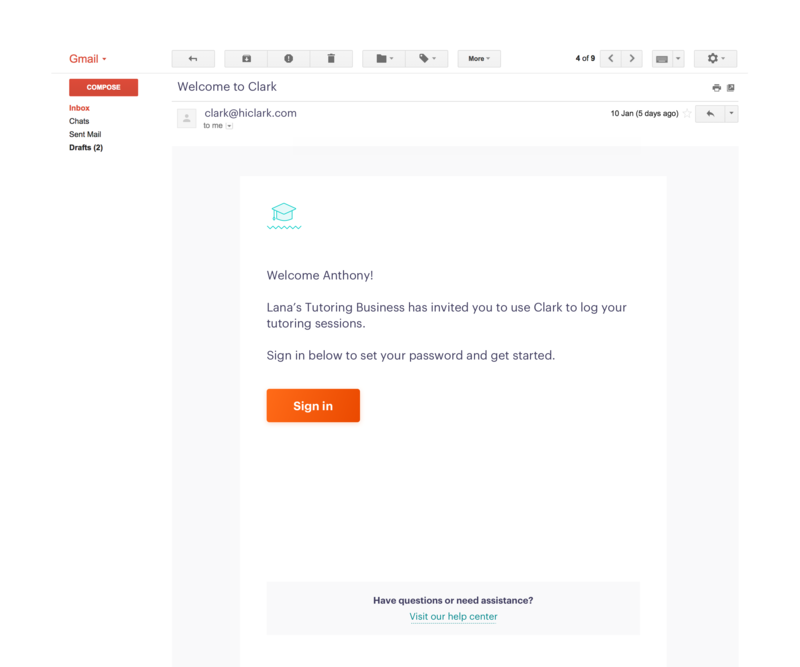 You will receive an email with an invitation to join Clark. You'll create a password for your Clark account and you'll use that email and password to log in any time after that. Your admin may not have assigned them to you yet. If you think there's been an error, contact your admin. A parent told me they were charged incorrectly. Let your admin know right away. We are always able to process refunds if a mistake was made in error. 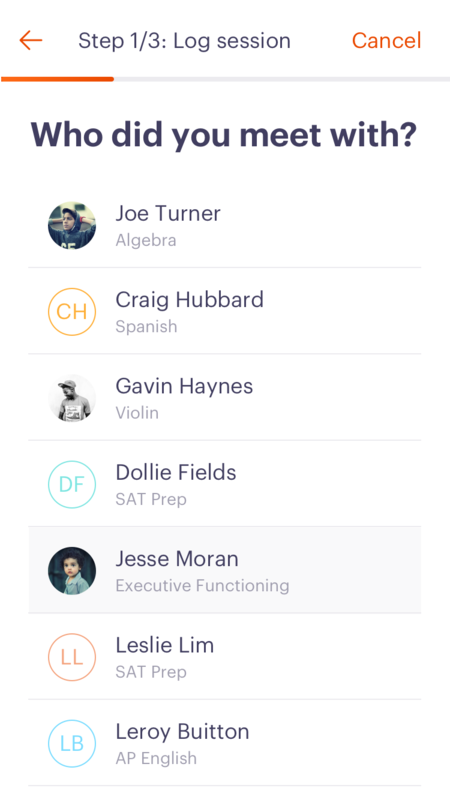 How do I get paid for my tutoring sessions? Contact your admin to learn more about payroll. How do session reports work? Session reports are designed to keep parents/guardians in the loop about their child's progress.